Let’s bring our natural environment and your professional world together! 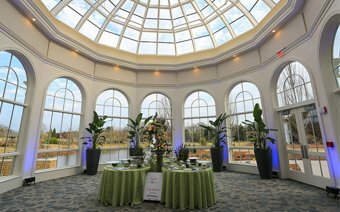 The Huntsville Botanical Garden has many different venues for your corporate events. We value our community, and having professional businesses share our Garden with their employees is important to us. We look forward to having you! 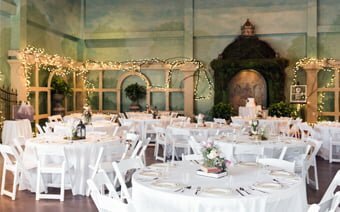 The Grand Hall is the largest venue at the Garden, providing banquet seating for up to 350 guests. Boasting its own entrance, the Grand Hall also has a pre-function lobby that is great for guest check-in, photo booths, or cocktail hour. 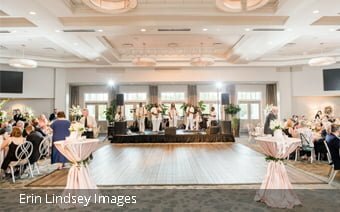 With a moveable dance floor, dimmable lighting, and multipurpose areas the venue can be personalized to suit your needs. 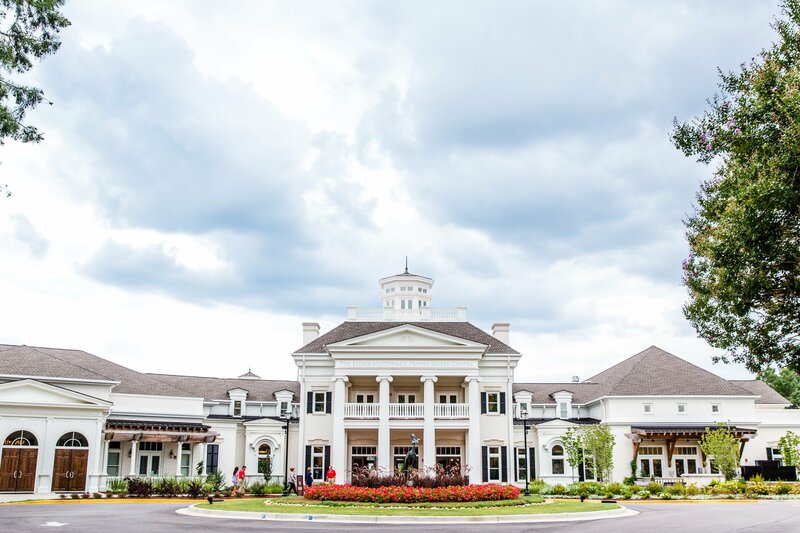 Five sets of double doors lead guests to the veranda where the view is stunning both day and night. It is a wonderful place for a bar, giving you and your guests an easy and comfortable transition to the outdoors. 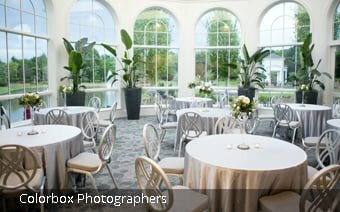 The Grand Hall is the perfect venue for your large function. 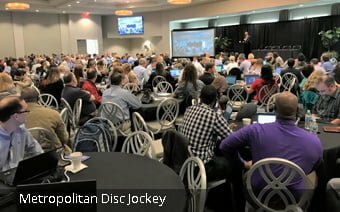 The venue comes equipped with a catering kitchen, ice machine, two video walls, wireless microphones, podium, HDMI input for your use, and indoor tables and chairs. The view from inside the Conservatory is breathtaking day or night. The glass room provides a 180-degree view of the Garden under a perfectly framed sky. It is the quintessential space for a luncheon or small workshop. 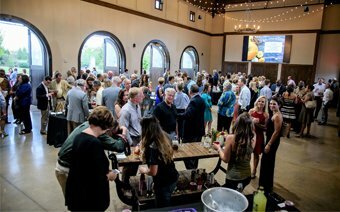 Adjacent to the Grand Hall, the Conservatory can be paired with your Grand Hall rental to create a jaw-dropping bar location or break-out room. The venue is equipped with an LCD monitor with HDMI input, wireless microphone, podium, and indoor tables and chairs. The Carriage House is the definition of pastoral elegance. The room is flanked with tall doors that open to patio spaces to provide the perfect mid-meeting break spot. The high, beamed ceiling is draped with bistro lights that provide great ambiance for any company dinner or holiday party. 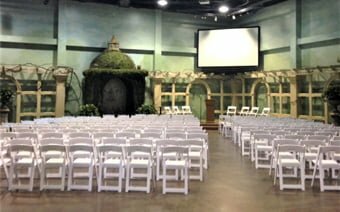 The venue is equipped with a catering kitchen, ice machine, video wall, podium, wireless microphones, HDMI input for your use, and indoor tables and chairs. This garden-themed space can be used for casual and formal affairs. The built-in stage and LCD projector screen make the space great for presentations. The venue also has a room for break-out meetings, the Arbor Library. The venue is equipped with a catering kitchen, ice machine, LCD projector (laptop not included), built-in sound system, podium, and microphone, HDMI or VGA input for your use, and indoor tables and chairs. The Courtyard can be paired with your Arbor rental to create the perfect extension of space into the outdoors. The Courtyard is secluded and has both a grassy garden space, as well as a concrete pad that can accommodate a tent or additional tables and chairs. In conjunction with the Arbor, the Courtyard Garden is a lovely addition to any company function. 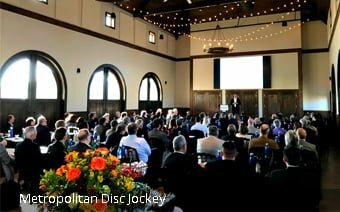 With its private entrance directly off the parking lot, Murray Hall is perfect for meetings, seminars, and small company parties. The space comfortably seats 80 guests and has a nook that is great for displays, catering tables, or a bar. The deck off of Murray Hall looks over Little Smith Lake and provides the perfect place for your guests to enjoy the expansive views. 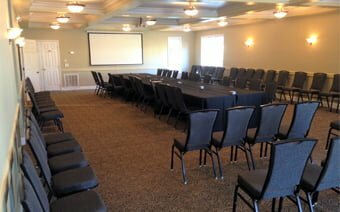 The venue is equipped with a built-in sound and projector system (laptop not included), podium, wireless microphone, HDMI and VGA input for your use, and indoor tables and chairs. 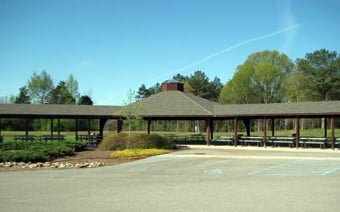 The Pavilion is a covered outdoor space that is great for hosting a company picnic or casual luncheon. The large expansive grass area adjacent to the Pavilion is the perfect space to set-up corn hole, face painting, or bounce houses (additional fee, professional installation required). Wristbands for your guests to enter the Garden may be purchased at the rate of $4 per person. Venue equipped with electrical outlets, ceiling fans, picnic tables, and overhead lighting. 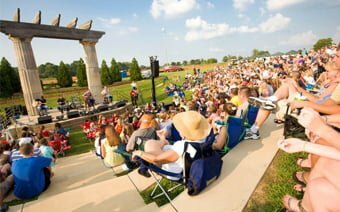 This open-air amphitheater provides semi-circular seating around a stage that is flanked with columns from the original Huntsville Madison County Courthouse. 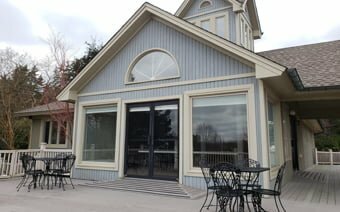 This space is wonderful for company picnics or functions that need a stage and want to enjoy the outdoors. Wristbands for Garden admission may be purchased at the rate of $4 per person.